"Pisa walking tours, for only 15 euros a person. Why? Because at Discovery Pisa they believe that art and culture should be accessible to anyone. 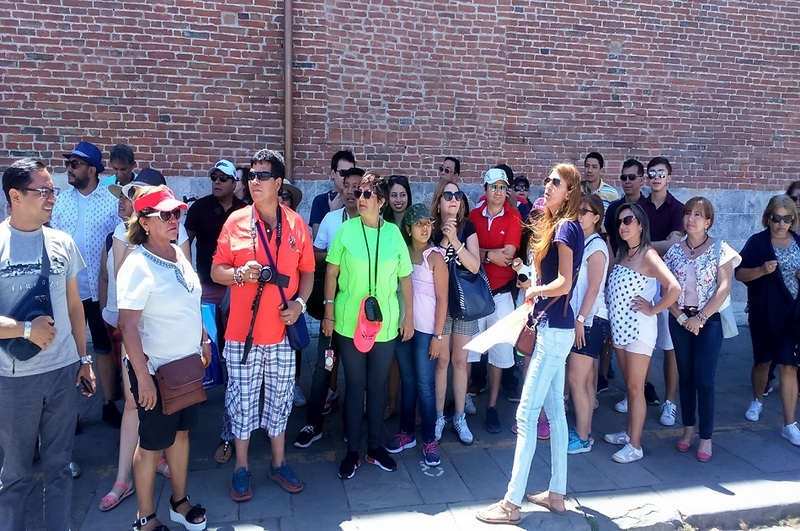 Don't you wish more tour guides were like them?" 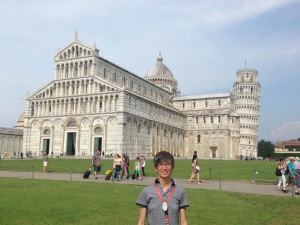 The best thing you can do when visiting Pisa for the first time is take one of the Pisa walking tours! I know, I know, you must be thinking now: 'But this is just a small place, can't we just walk around and see it by ourselves?'. You know what, I thought the same until I found out about Andrea and Alessia. 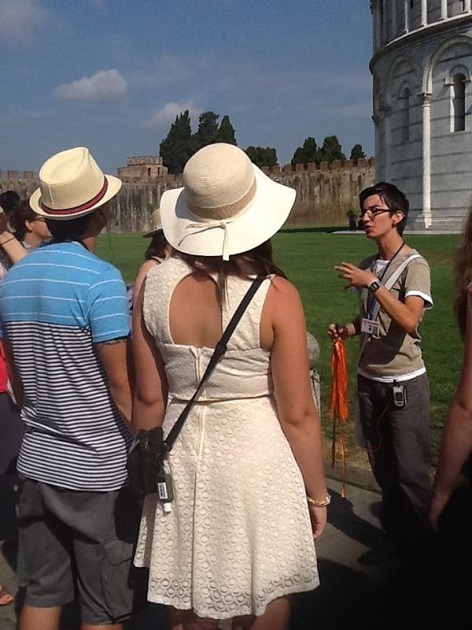 These two girls are big Pisa aficionados and certified Pisa walking tours guides who noticed too many people left Pisa without actually getting to know more about it. That is why they founded Discovery Pisa, a tour agency that specialises in these 50 minute long low-cost Pisa walking tours, for only 15 euros a person. Why? Because they believe that art and culture should be accessible to anyone. Don't you wish more tour guides were like them? I think it would be a real shame for you to come to Pisa, maybe once in your life, and spend your time aimlessly walking around the Piazza dei Miracoli: once you have your photo taken holding up the leaning tower and buy a magnet, there's nothing much to do...unless you have the right people by your side. And the girls from Discovery Pisa are exactly that! „Being a turist guide has revealed my great passion: Pisa is a city that surprises you with its many marvels hidden among the ancient medieval streets...and remember, Pisa is not just the Leaning Tower“ – says Andrea, and she is absolutley right. Woow, so much passion oozing from their words, I wish I had these two girls by my side when I was visiting Pisa...unfortunately their Pisa walking tours didn't even exist then. 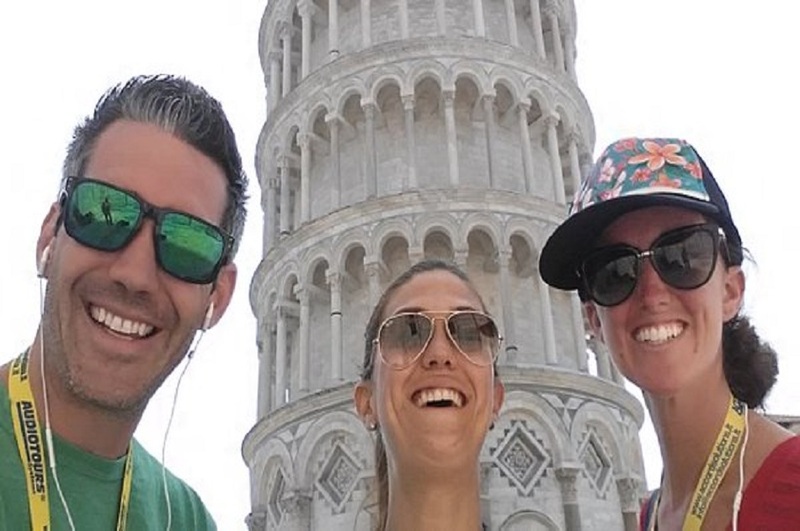 So what did Andrea and Alessia prepare for you in your one hour stay in Pisa? 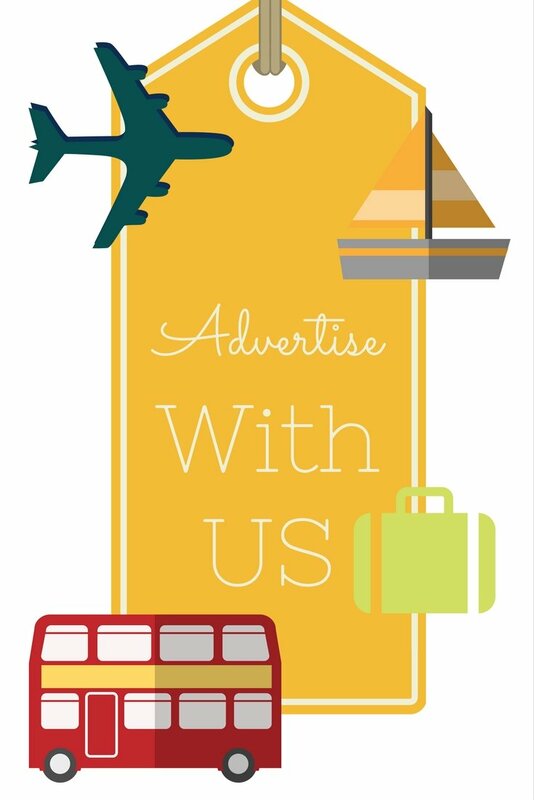 · Their tours are coordinated with the Tuscany Bus low cost transfers from Livorno to Pisa. If you still haven't booked your seat on one of their busses, do so before they sell out! 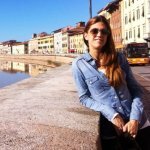 · Once your bus arrives to Pisa, one of the girls will pick you up right there at the parking lot and guide you to the Square of Miracles. Oh, that's my idea of the careless vacation! Not having to think where to go. · At the Miracle Square they will give you a 50 min guided Pisa walking tour: you will get a chance to discover its monuments which are known as “miracles” because of their incredible beauty and uniqueness. You will be dazzled by this marvelous square which is dominated by the Cathedral which is typical of the distinctive Pisa Romanesque architecture. You will admire the celebrated Leaning Tower, the round-shaped Baptistery surrounded by its suggestive columned arcades and its “Camposanto”, originally a cemetery, an extraordinary quadrangular cloister and also the amazing Cathedral. The commentary of your guide will be particularly focused on the Leaning Tower, one of the wonders of the world.You will be enthralled by the history and the leaning structure of the Tower which stirs the imagination of all visitors. · After about 50 minutes of guided tour, if you have booked it in advance, you’ll climb the Leaning Tower. This ticket allows you to visit the interior of the Cathedral. Remember that all tourists have to go to the proper left-luggage office to hand in bags/luggage before starting the visit of the Leaning Tower. Kids under 8 are not allowed inside the tower. · After the tour, you can still enjoy free time before returning to Livorno. · When contacting Andrea and Alessia from the Discovery Pisa in the form below, please state which option of the tour you're interested in...because there are two. Note: Remember that all tourists have to go to the proper left-luggage office to hand in bags/luggage before starting the visit to the Leaning tower. Kids under 8 are not allowed inside the tower. Now, that sounds amazing. The only problem is there are always at least 3-4 ships in the port of Livorno each day and with at least 8000 visitors circulating the area, these tours get sold out quickly. To avoid any disapointments, contact Pisa Discovery through our contact form right now and book your spots on their Pisa walking tours.